As Apple’s yet-to-be-made-official fall festivities approach, we’ve heard that Apple has begun iOS 5 and iCloud training with retail store employees. According to these sources, training is done through a new section inside of the company’s recently released internal RetailMe application. Apple typically rolls out their major iOS releases in the days surrounding new iPhone launches. Apple Stores usually only begin their training of new software in the couple of weeks leading up to a respective product launch (obviously this time around could be different, though). Apple beginning their iOS 5 training within the last few days could mean a launch sooner than the recently rumored dates of mid-to-late October. 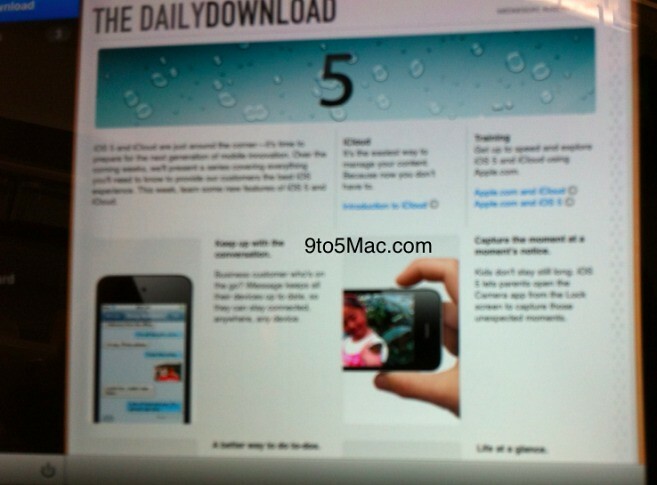 In addition to iOS 5, Apple Store employees have also begun receiving detailed information on Apple’s upcoming iCloud service. Apple originally said iCloud would be launching alongside iOS 5, which is necessary because of iCloud’s full integration into the next-generation iPhone, iPad, iPod touch, and Apple TV operating system. 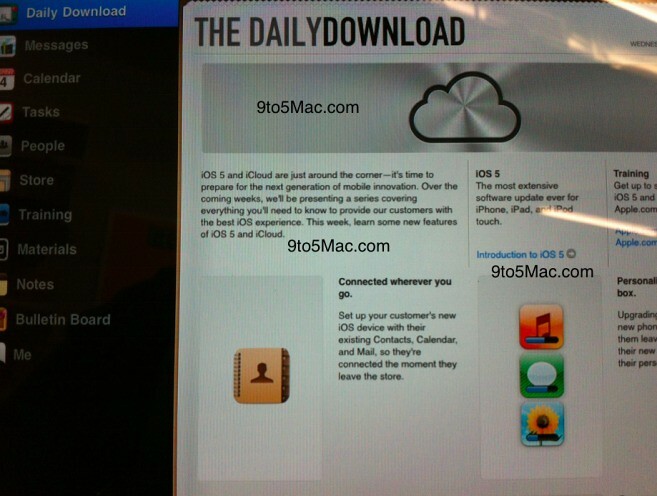 If anything, this iOS 5 and iCloud training news helps support our original report of late September iPhone 5 pre-orders and an early October launch. Evidence that Apple is nearing completion of their iCloud service is a pickup of iCloud for Mac and Mac OS 10.7.2 betas to developers. In addition, Apple’s recent betas of iOS 5 have certainly focused on performance, speed, and the removal of bugs.